What encourages individuals to recycle? Are their actions influenced by their beliefs or other actions? 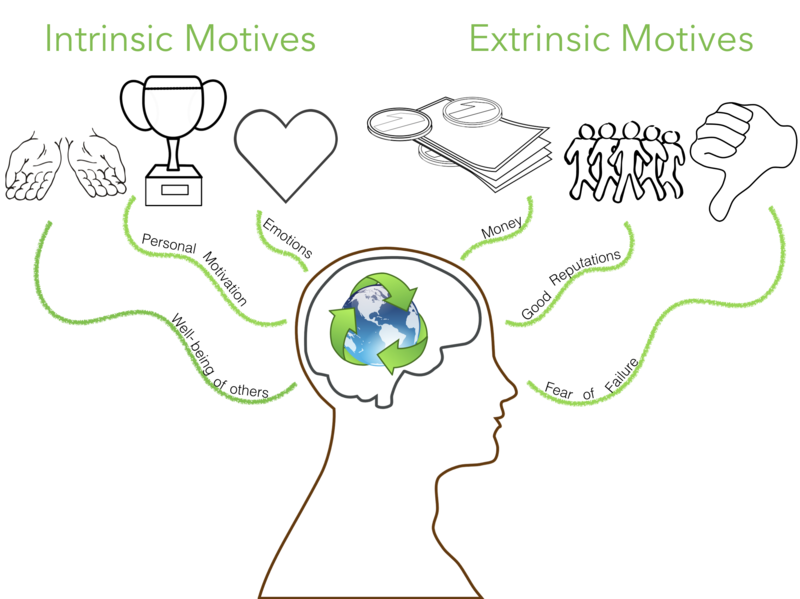 Intrinsic and extrinsic motivators work together to lead to pro-environmental behavior in the United States. Figure 1. Aluminum soda can on a wooden dock. Courtesy of Skitterphoto, 2015, Pixabay. Public Domain. In recent years, the global community has attempted to boost the motivation to recycle in various ways. The United States has tried to encourage pro-environmental behavior, but the results have not been radically significant. However, it is important to understand what influences pro-environmental behavior so that more communities can utilize these tactics to achieve better results. Both intrinsic and extrinsic factors need to be considered, and various theories are available to promote environmental health (Figure 3). Figure 2. 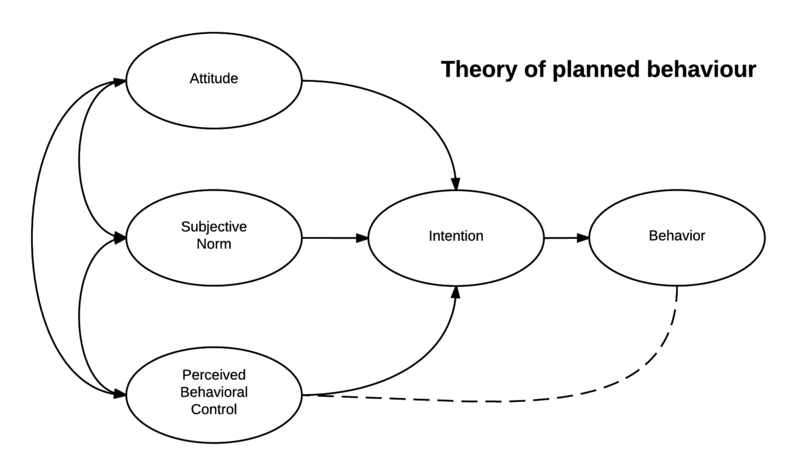 The Theory of Planned Behavior links beliefs to behaviors. Courtesy of Robert Orzanna, 2015, Wikimedia Commons. CC BY-SA 4.0. Figure 4. Municipal Solid Waste (MSW) Recycling Rates, 1960 to 2014. Courtesy of the U.S. EPA, 2016. Public Domain. Deciding whether or not to recycle is a psychological, sociological, and environmental decision. Both intrinsic and extrinsic factors play a role in the cognitive process, and understanding how solutions influence an individual’s behavior can improve their success rates for the future. Policymakers at all levels of government in the United States should consider these factors when implementing pro-environmental policies. Abbott, A., et al. (2013). Recycling: Social norms and warm-glow revisited. Ecological Economics. 90:10-18. Aguilar-Luzón, M.C., et al. (2014). Beliefs and environmental behavior: The moderating effect of emotional intelligence. Scandinavian Journal of Psychology. 55(6):619-629. Cecere, G., et al. (2014). Waste prevention and social preferences: the role of intrinsic and extrinsic motivations. Ecological Economics. 107:163-176. Chan, L. & Bishop, B. (2013). A moral basis for recycling: Extending the theory of planned behavior. Journal of Environmental Psychology. 36:96-102. Greaves, M., et al. (2013). Using the theory of planned behavior to explore environmental behavioral intentions in the workplace. Journal of Environmental Psychology. 34: 109-120. Huffman, Ann H., et al. (2014). When do recycling attitudes predict recycling? An investigation of self-reported versus observed behavior. Journal of Environmental Psychology. 38:262-270..
Tate, Kelly, et al. (2014). Influencing green behavior through environmental goal priming: The mediating role of automatic evaluation. Journal of Environmental Psychology. 38:225-232. Woolfolk, Anita (2013). Educational Psychology. Columbus, OH: Pearson. Clker-Free-Vector-Images. (2014). [Brain: motives graphic]. Retrieved from Pixabay. Public Domain. Clker-Free-Vector-Images. (2012). [Earth: motives graphic]. Retrieved from Pixabay. Public Domain. Clker-Free-Vector-Images. (2012). [People: motives graphic. Retrieved from Pixabay. Clker-Free-Vector-Images. (2014). [Trophy: motives graphic]. Retrieved from Pixabay. Public Domain. Orzanna, Robert. (2015). [Diagram of theory of planned behavior]. Retrieved from Wikimedia Commons. CC BY-SA 4.0.
petrap555. (2015). [Hands: motives graphic]. Retrieved from Pixabay. Public Domain. Skitterphoto. (2015). 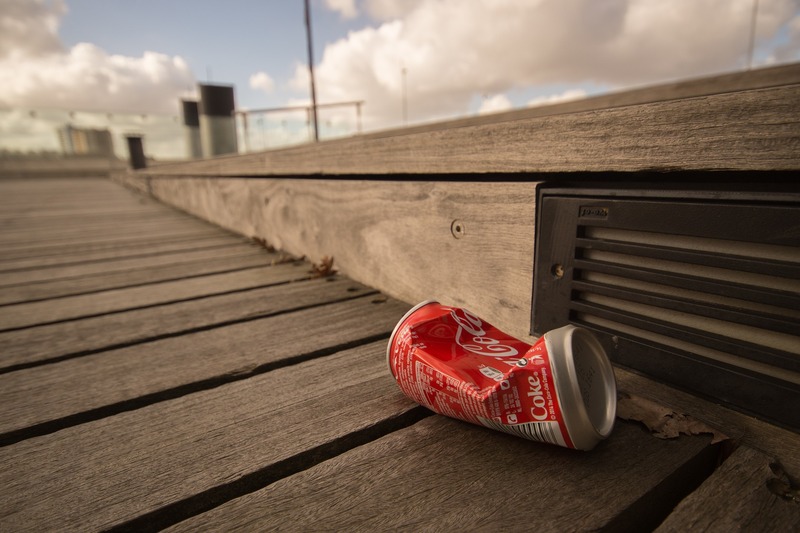 [Photograph of soda can on wood dock]. Retrieved from Pixabay. Public Domain. United States Environmental Protection Agency, Office of Land and Emergency Management. (2016). Advancing Sustainable Materials Management 2014 Fact Sheet. 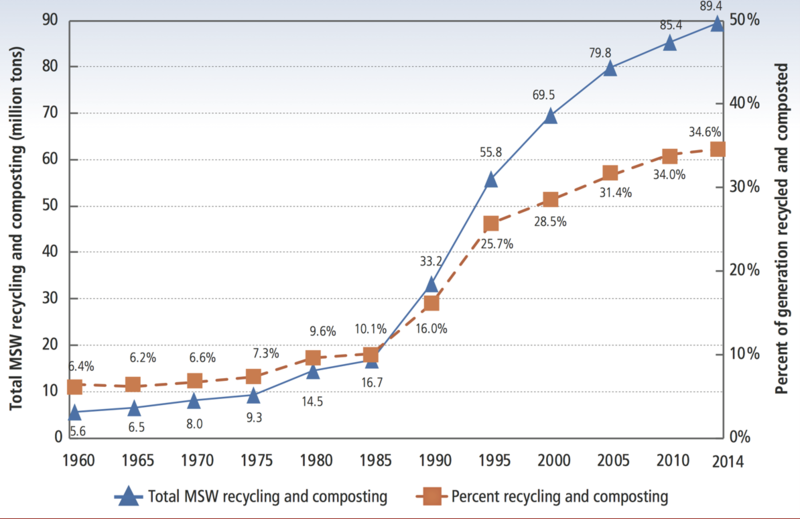 [Graph of recycling rates]. Retrieved from https://www.epa.gov/sites/production/files/2016-11/documents/2014_smmfactsheet_508.pdf.